The Directors and management of Automotive Warehouse have a combined 160 years of experience in the automotive industry. We have earned recognition in our industry for our business astuteness and our goal to be the most progressive and customer focused car dealership in our country. This can only be achieved through providing transparency and credible service. We will where possible supply a complimentary Vehicle History Report and a completely independent Vehicle Inspection Report by IVI (Independent Vehicle Inspections) on every vehicle. For those clients that are time poor or that live out of Sydney, we offer you the option of a live Skype or Facetime viewing of the vehicle. Our mission is to become an iconic name in the automotive industry. 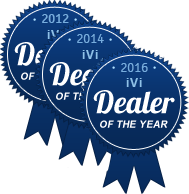 Having won the IVI Dealership Of The Year Award two of the last three years, we believe we are well on the way to achieving our goals. If you require a quality prestige, family, 4WD, SUV or price range used car, the best price on a New Car, competitive Finance, Car Insurance or Car Detailing, we have an outstanding product to suit. Call us today on (02) 9939 0227 or send an email to sales@automotivewarehouse.com.au. We are the proud winners of the Independent Vehicle Inspections (IVI) – APPROVED DEALER OF THE YEAR AWARD for two of the last three years.